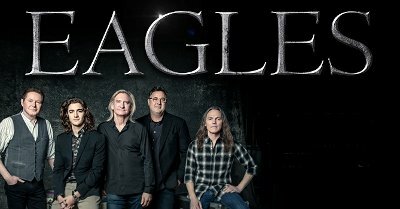 The Eagles 2018 tour is now up to 47 dates. On Tuesday (February 6), the group added six more shows to the itinerary with two in Los Angeles (September 12 & 14) and one each in Sacramento (September 18), Hartford (October 6), Milwaukee (October 18) and Cleveland (October 20). All six shows will be "An Evening With the Eagles" with no opening act. Three members of the classic band, Don Henley, Joe Walsh and Timothy B. Schmit, are being joined by Deacon Frey, the son of the late Glenn Frey, and Vince Gill.